My name is Matigan and I teach the Jr. Zookeeper 10-12 year old Zoo Camp. Teaching this camp is a good fit for me because since I was little, I enjoyed spending time with animals. When I was a young volunteer I would spend hours feeding and petting the goats. They’re so cool and always eager to be pet or just have some company. As much as I love the goats, if I could be any animal I would be the Atlantic Puffin. They are my favorite animal and the cutest bird ever. They can fly, burrow, and dive. Not to mention they have beautiful beaks full of color—a built in accessory! Along with all the animals, my favorite thing about Zoo Camp would have to be all of the crafts that we get to do. I love to get out the glue and create things! It’s so fun to give a child a little bit of direction and then watch their imagination run wild. Hi everyone! My name is Dustin and I teach the 3–4 and 4–5 year old Zoo Camps. This week I’m teaching Wake Up The Train and Water Buddies! My favorite part about Zoo Camp are the kids. If we didn’t have kids here, the Zoo would be really boring and lack a sense of wonder. My favorite thing to do at the zoo is ride the train. It brings me back to when I was young, plus the train is just awesome. If I could be an animal I would be a dog because dogs get treated better than humans. 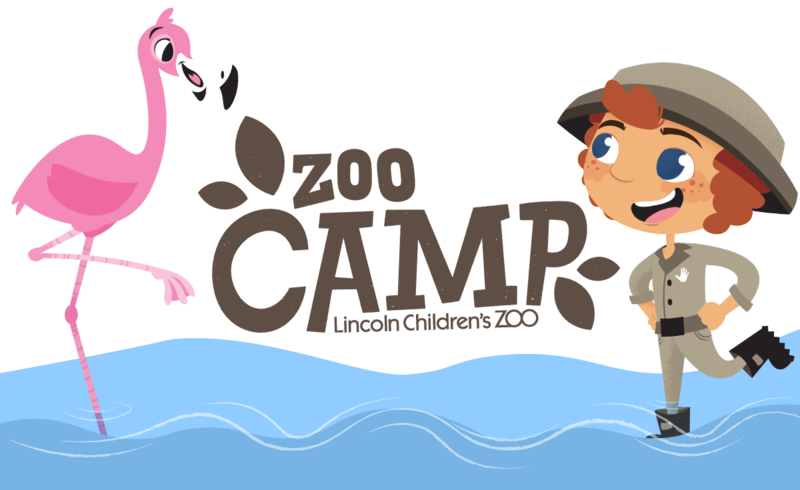 I’m Hailey, a Zoo Camp Instructor for the 6-7 and 4–5 year olds. This week I’m teaching Critter Keepers and Party with Peacocks. My very favorite thing about Zoo Camps is watching the kids interact up close and touch the animals that they would otherwise never get a chance to do. It’s really fun for me to have these experiences, too! My favorite thing to do at the Zoo is watch the otters play and swim. They are my favorite animals. If I could be any animal I would be a housecat. It would be great if I could just sleep all day and scratch the furniture without getting in trouble! Hello! My name is Chelsea and I teach the 6–7 and 4-5 year old Zoo Camps, Zoo Rangers and Animal Planet. I love Zoo Camps because I enjoy working with the children and teaching them more about one of my greatest passions, animals. Because of this, one of my favorite things to do at the zoo is visit the Hive and see all the creepy crawlies and riveting reptiles! If I could be any animal at the Zoo, I would be a snake. Snakes are my favorite animals because they are so interesting and have so many unique qualities that make them different from any other animal. My name is Monica and I teach the 8–10 year old Jr. Zookeeper Camp. My favorite part about being a Zoo Camp teacher is watching campers step out of their comfort zone. During camp, they will try holding a scorpion or a tarantula. Watching them encourages me to be brave, too! This is why my favorite thing to do at the Zoo is holding Yoda the ball python! He was the first snake I ever held when I was a Zoo Crew member, and I’ve admired snakes ever since. It’s awesome that he’s still around and continuing to inspire future zoo enthusiasts! But, if I could be any animal, I would be a sea turtle. I love turtles so much! Plus, sea turtles are so cool to see in the wild!